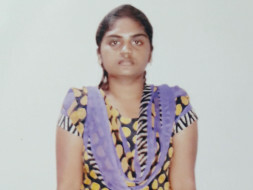 Usha is pursuing her II PCU (Commerce). 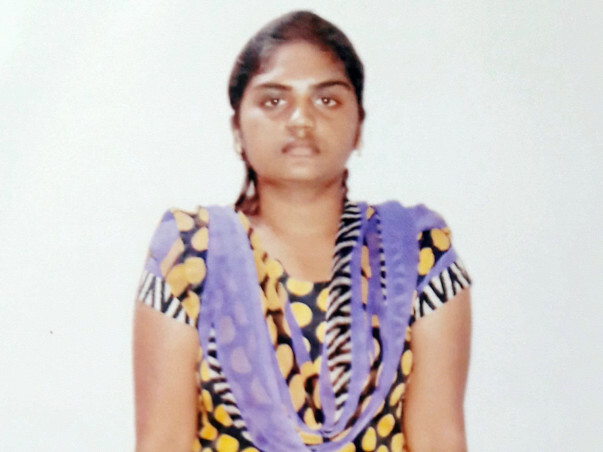 Her father, Mr. Siddaraju G, is working in a factory and has a meagre income of Rs. 15,000 per month. Her mother Mrs. Manjula is a home maker. She has one younger brother Mr. Gururaj S pursuing Bachelors in Commerce (final year). Her father is the only one breadwinner for the whole family. From 2007, Ms. Usha has been taking treatment for her condition (Aplastic Anemia), but it has relapsed again. All the resources that the family had are already spent for her treatment. 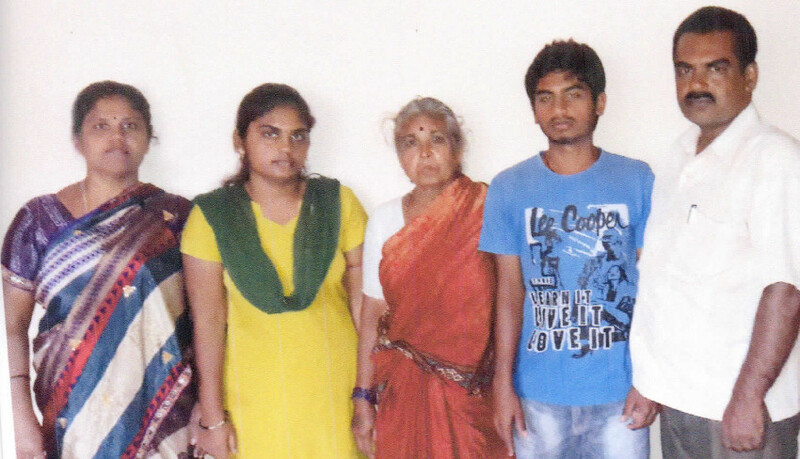 They have taken loans from their relatives for Ms. Usha’s treatment and now nobody is coming forward to help them. 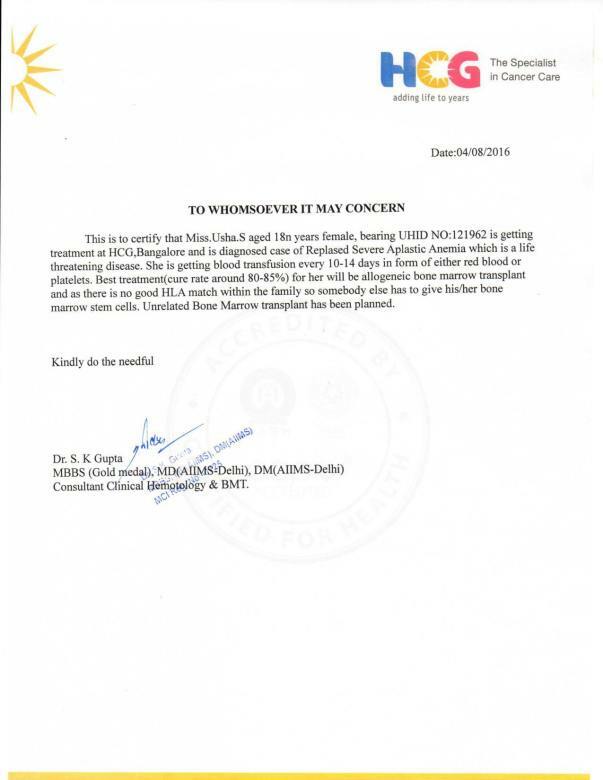 Due to the financial situation, the family is under tremendous stress as Ms. Usha’s condition and treatable and curable. She has 80-90% chances of recovery. 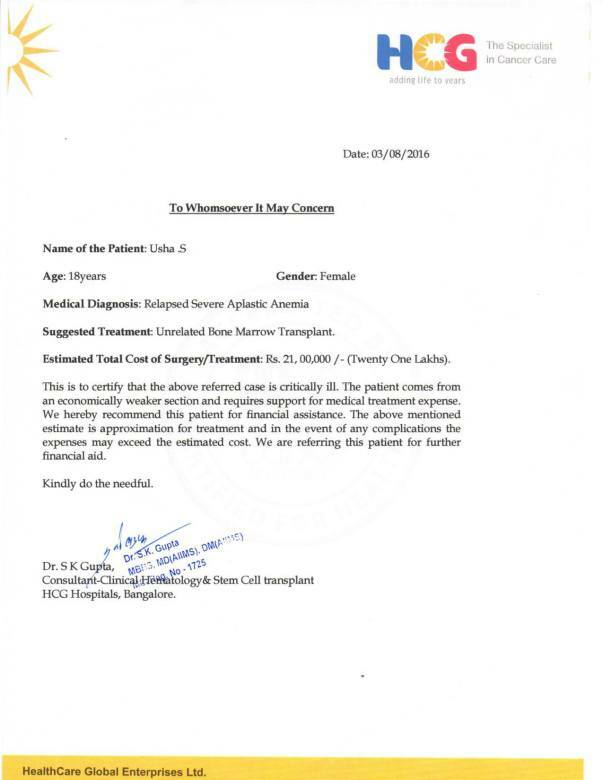 Currently, Ms. Usha is admitted at our hospital for treatment and they were able to contribute around Rs.6 Lakhs but the total estimate of treatment plan is Rs.21 Lakhs as they do not have a matching donor for Bone Marrow Transplant. We are very saddened to inform you that Usha passed away on October 12 despite best efforts by the doctors. 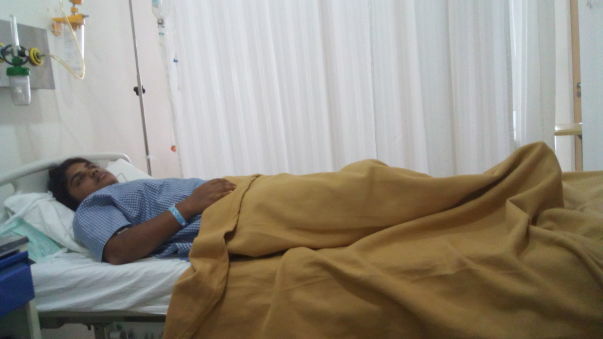 The bone-marrow transplant had happened on September 18 and it initially seemed that the transplant was successful. The donor for the bone-marrow transplant was not a family member. She suffered from the graft-versus-host disease, a medical complication following the receipt of transplanted tissue from a genetically different person. This happened in just a few days after the transplant. Her body could not cope with the following diarrhoea and jaundice. Her father, Siddaraju is still extremely upset and has not yet resumed work. Let us pray that the family is able to get through this tough phase of their lives. Come out a survivor, Usha!